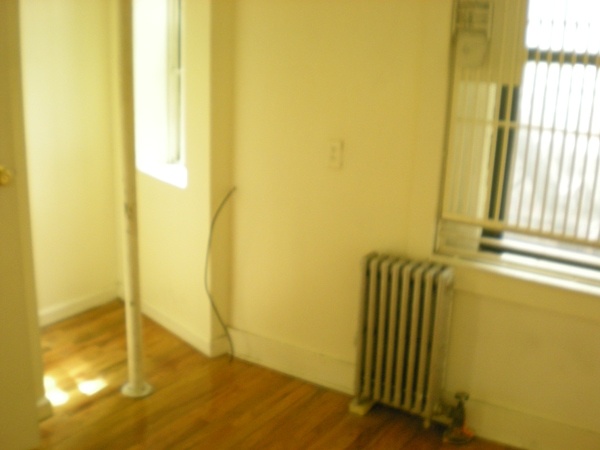 I will parse no words: apartment hunting is a harrowing, wicked task. 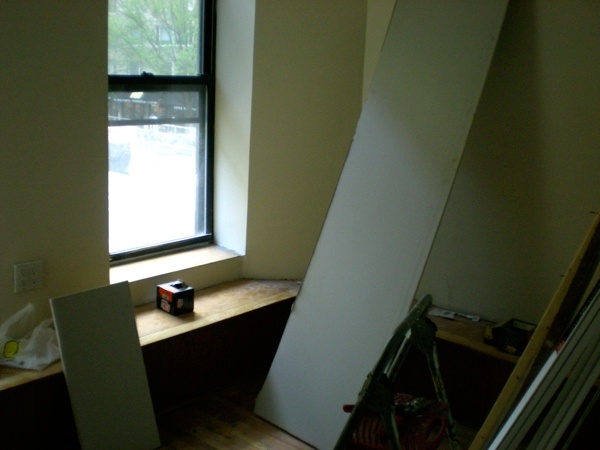 Even with a broker, sorting through apartment after apartment basically amounts to an exercise in sustained frustration, one that might make you weigh the relative benefits of living out of a cardboard box. And as rough as walking around the entire southern end of Manhattan in 90 degree weather is, it’s even harder for the brokers: they have to find the listings and deal with finicky landlords. On several occasions he was supplied the keys to the apartment without the benefit of keys to the building, leaving us to wait outside and hope somebody who lived there would come or go, allowing a window of opportunity for a sneaky entrance. It’s been totally exhausting. This weekend, Eva’s family was here on Saturday and Sunday, so I went out looking with our broker all by my lonesome. While it definitely would have been nice to have us both there, she really didn’t miss much. And we’re on the same page 99% of the time, which made it okay for me to go it alone. Teamwork! Anyway, I thought it might be fun to post some photos of some of the places I looked at, some with some fairly memorable features. We are not planning to rent any of them. Most are in the East Village, where we did the majority of our searching. Please excuse the terrible photos! It doesn't look bad, but this second bedroom was only 6 feet across. No grown-ups allowed. Design dilemma: what to do with a tiny nook with a nice window and huge pipe running down the middle? If you can figure this one out, you win a prize. Except not really. Always super fun to walk into a place that's in the midst of serious renovations 10 days before you want to move in. It'll be done! Uh-huh. I love the website Awkward Family Photos, but some of these places made me think there should be a site called Awkward Rooms. 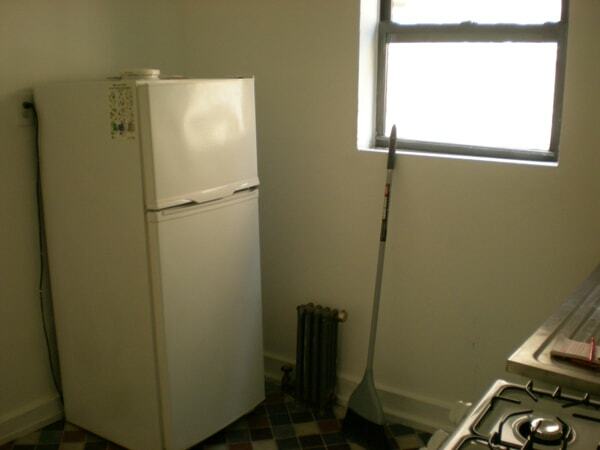 This kitchen: like, so awkward. Scary bathroom. Check out those stains on the tub! Mmmmm. My favorite bathroom. 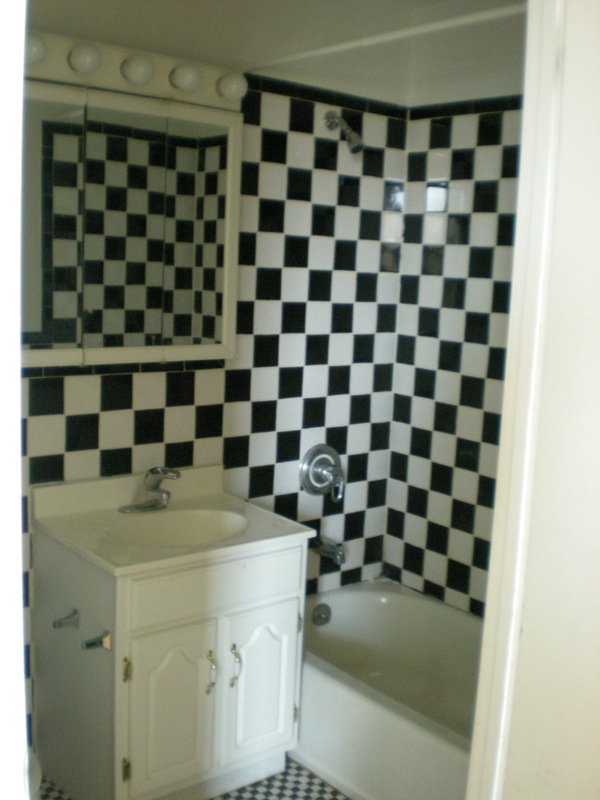 The floor is the same black and white checkers, but smaller scale. Not a good room for epileptics or drunks. 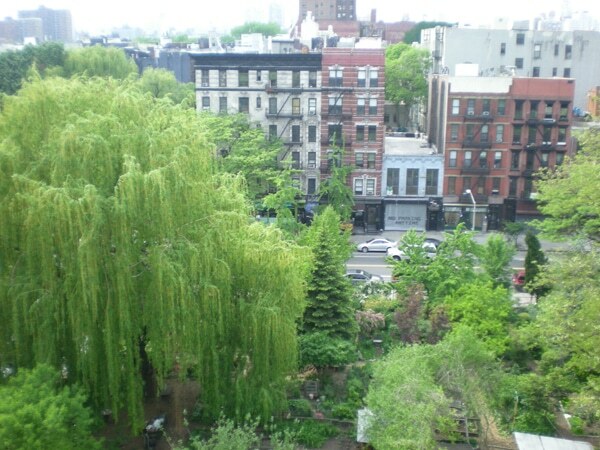 The perk of the apartment with the checkered bathroom was this shared roof deck with a nice view of a community park. It was also an 8th floor walk-up. It was also on Avenue C (I think), which is a really, really long walk from campus. So those are some glimpses of all the fabulous options! 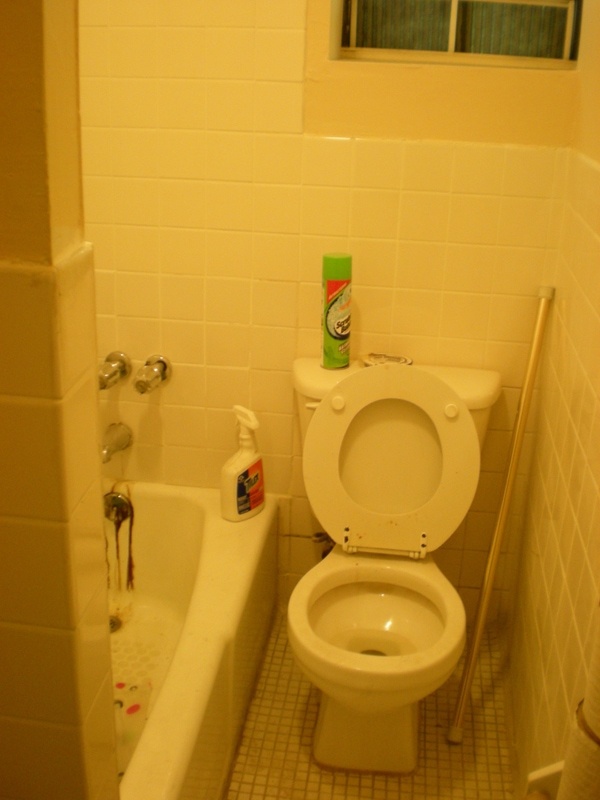 In reality, we’ve definitely seen some places we wouldn’t mind living in, these were just some memorably bad ones. Is the search for the Nest almost over? Or is it just beginning? Your guess is as good as ours, stay tuned! Oh, Sweetie! I shutter to think what you may have thought of some of my early domiciles. Some of those places look like they need a Dannyboy to make them whole. I love you and good luck with the search. 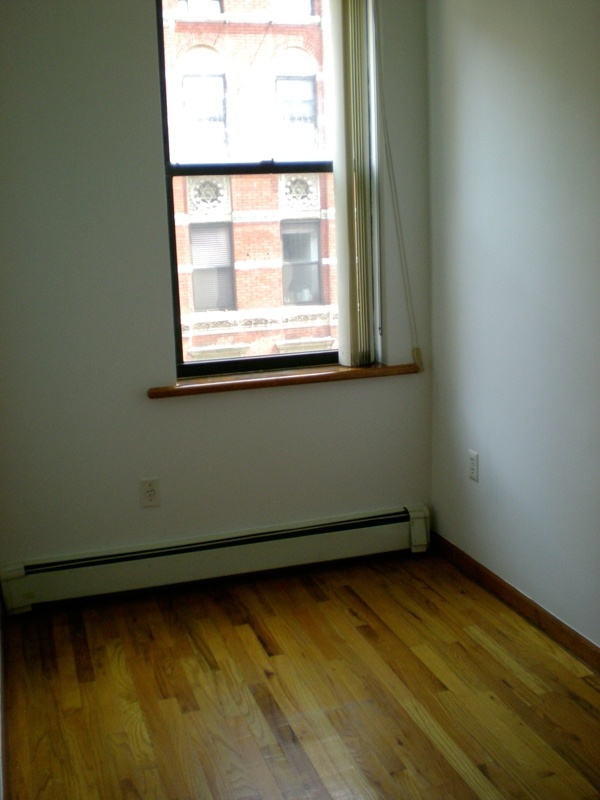 Anxiously awaiting more photographs of lonely flats. #2, obviously you tell people that’s the stripper pole. #6, I’m still hung over from Cuatro de Mayo and just looking at that picture made me nauseous. OBVIOUSLY- a stripper pole! You’ve solved it. Cuatro de Mayo? Who are you. Obviously a stripper pole. Are we related? But, I think it has to be stripper pole especially for those who are vertically challenged (do we call them midgets or dwarves these days).